In running your own bodyshop garage, you will know that time is of the essence. Customers will no doubt want their vehicles back as soon as possible and in top condition. It’s therefore extremely important that you take the necessary steps to ensure that your productivity levels are at the highest they can possibly be. Keep reading to learn about some of the bests way of how you can increase your business’s productivity with an infrared heat lamp. 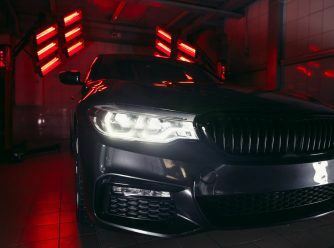 With infrared technology it’s far easier and quicker to dry the whole of a vehicle. These lamps have an incredible range and don’t require you to get up close and personal. You can heat even the largest of vehicles. There is a high level of accuracy involved so no need to worry about missing areas! Infrared is extremely powerful and allows for fast drying. In fact, for many of our lamps, it takes just six minutes for base coat and filler! Infrared utilises electromagnetic radiation to ensure each job delivers superior drying results, allowing you to move on to the next task as quickly as possibly. Infrared lamps are built to be environmentally friendly. With costs as low as 11p per hour, you can use the lamps knowing full well that they won’t cause your electricity bill to skyrocket. This will save you money in the long run and allows you to spend your budget on other areas of maximising your work output. At Infratech Automotive Solutions our products will increase your productivity with the above features and much more. Check out our lamp catalogue to find the product most suitable for your business needs. Stay up to date on all things infrared and more with our blog. You can also follow Infratech via our Facebook page and Twitter account. We accept payment from all major credit and debit cards. All transactions are sercure with SSL protection.